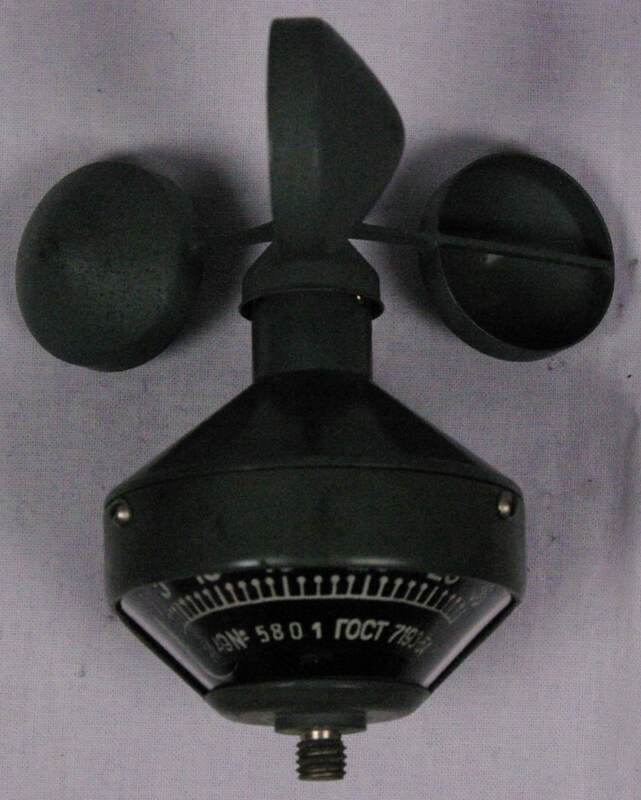 This is a Russian ARI-49 anemometer made by GMP in 1965. As the cups rotate, an attached magnet induces a current ​that causes the meter to move, directly indicating the wind speed in the range of 2 to 30 m/sec. I'm missing the detachable handle that scews onto it. 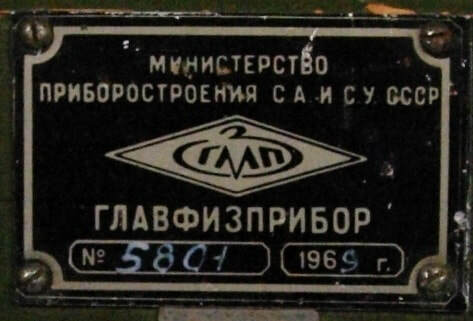 It's shown in the undated multilingual Soviet Trade Exhibition Catalog available on this website. Go to Soviet Trade Exhibition Catalog.